Mt. Washington State Forest - Mt. Washington, MA - Take a day trip! Mt. Washington State Forest is as far west as you can get and still be in Massachusetts and a lovely park that includes some of the best of the Berkshires. It’s part of a group of parks that include Bish Bash Falls State Park, Mt. Everett State Reservation, Taconic State Park in New York and Mt. Riga State Park in Connecticut. It’s a large park and includes several different sections in this intersection of 3 states. Summit view from Mt. Alander in Mt. Washington State Forest. options that take you throughout the park and into the surrounding parks along with a couple other states! I would reccommend getting a trail guide from the park headquarters or purchasing the Appalachian Mountain Club Guide to Massachusetts (with the included map of all of the parks in the area) for more details on the available trails and hiking options in this awesome area. Fishing: There are several places in the state forest and nearby that permit fishing with the appropriate state license. Just make sure you have the correct license for the state that you’re fishing in!! Hunting: Hunting is permitted on a restricted basis in Mt. Washington State Forest. Dog Friendly: Dogs are permitted as long as they are leashed. Horseback Riding: Horseback riding is permitted on the Ashley Hill Trail and a few other multi-use trails. Please check the map at the visitor center or the online digital copy for more details. Cross Country Skiing & Snowshoeing: Many of the trails in this park are ideal for cross country skiing with sufficient snow on the ground. Several of the steeper trails would also be great for snowshoeing. Camping: There are several primitive campsites in the park and a shelter that are available on a first-come first-serve basis. The park is free to use and the main facilities are located in the park headquarters located off East St in Mt. Washington. 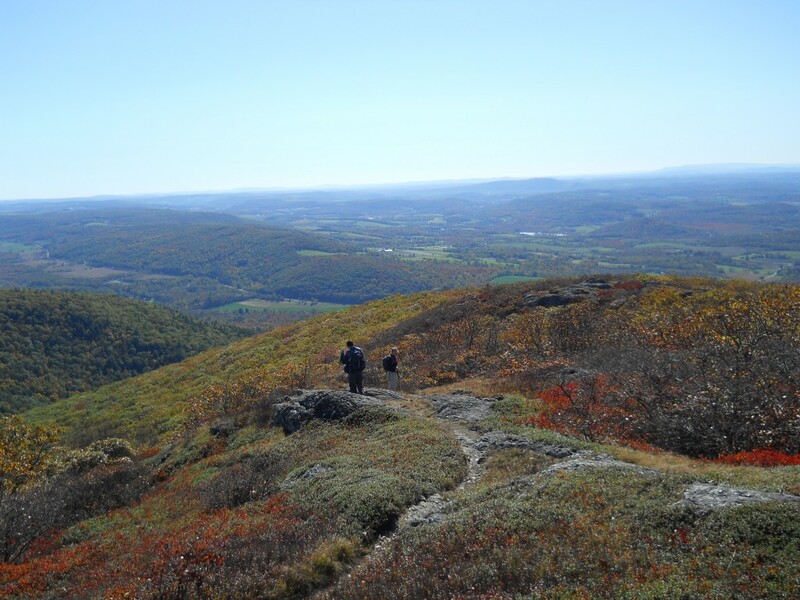 Please reference the parks trail map or the Appalachian Mountain Club Guide and Map to Massachusetts for more information on the locations of the campsites. There are several different spots that you can park your vehicle to access Mt. Washington State Forest, depending on which part you want to hike. The Forest Headquarters is located on East St. in Mt. Washington just under 8 miles from Route 41 in South Egremont (you’re turning on Mt. Washington Rd., it turns into East St. when you cross into Mt. Washington). The state forest website has directions and any address on East St. in Mount Washington, MA should work for those of you using a GPS unit to navigate. 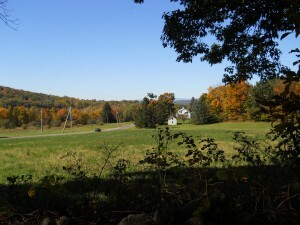 The AMC Northwest Cabin is located just over the border in Connecticut and that is just down the road south from State Forest Headquarters. Please note that the Mt. Washington Road in Connecticut is closed in the winter. For more information on the cabin and renting it please go its website. View of Under Mountain Road from Trailhead up Mt. Alander in Taconic State Park in New York. 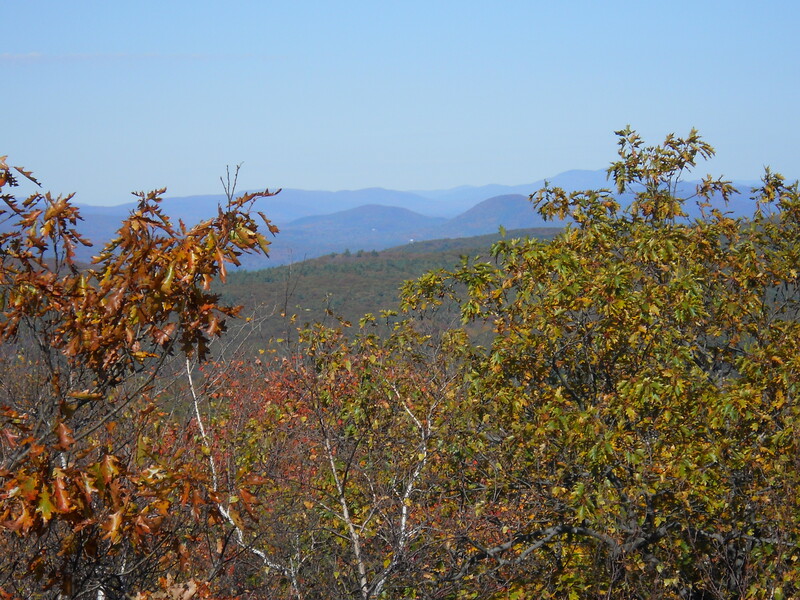 There is also a trailhead for the Robert Brook and Alander Brook trails to hike Mt. Alander that leaves from Taconic State Park in New York. This trailhead is located off Under Mountain Road off New York Route 22. Coming from Bish Bash Falls State Park take Falls Road west until it turns into Route 344 upon entering New York State. At the end of Route 344 in Copake Falls turn South onto Route 22 and Upper Mountain Road will be a left just under 4 miles down Route 22.